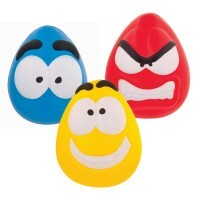 Stress Items and products are always a popular promotional product. Available in lots of different shapes to make them more appropriate for your business needs. 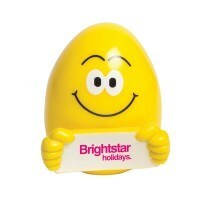 Stress items are a good focal point and talking point for exhibitions and general use. 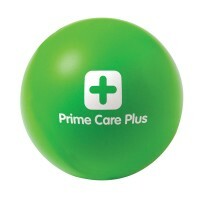 Promotional printed stress balls are one of the top selling stress items.They are available in a wide range of colours, have a good print area, and kept on desks for a long time. 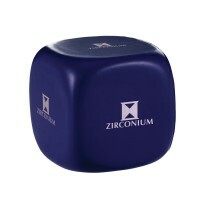 Promotional Printed Stress Cubes are an alternative to the traditional stress balls, price below are for print to one side, however, for an additional extra charge we can print to each side to maximise your advertising area. Available in 6 funky colours. 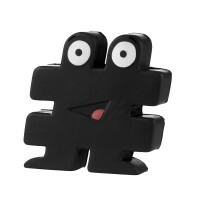 Promotional Printed Pop Eye 'Pop-I' promtional items are a fun stress item, squeeze the sides and the eyes pop out. Great fun for children and adults alike. Available in 5 Colours. 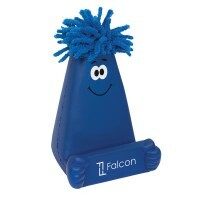 Mop Topper Phone Stand is three promotional products all in one, a stress item, a screen cleaner. Company logo is branded to the front. Stress Board Mate. Super promotional item with a good advertising area to showcase your company logo. 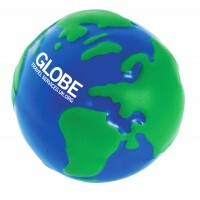 This popular stress item shaped into a globe jas a good sized branding area to get your logo noticed. Good Value for money stress world with munerous opportunities as a corporate gift.